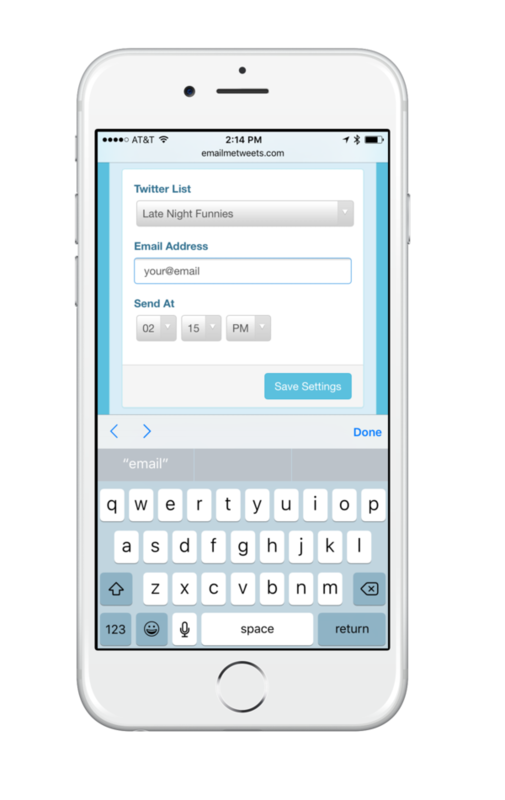 miss what they tweeted when you weren't looking. yummy deals and ideas for what to eat. is going on in your hometown. 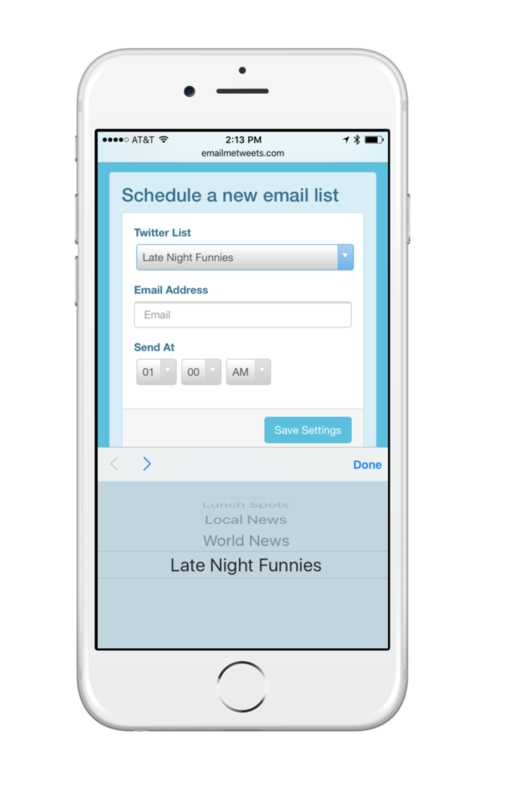 😀 Get tweets by email with any kind of twitter list you want. 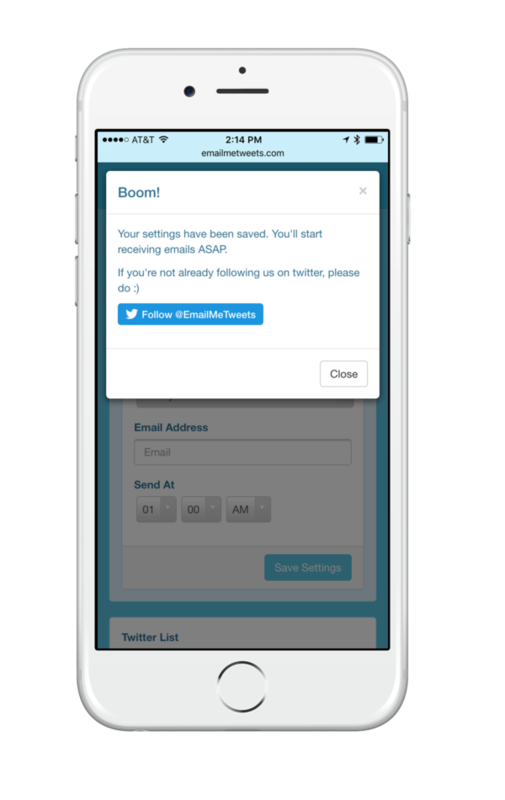 It's easy to create a twitter list and now EmailMeTweets makes it easy to get twitter list notifications by email. 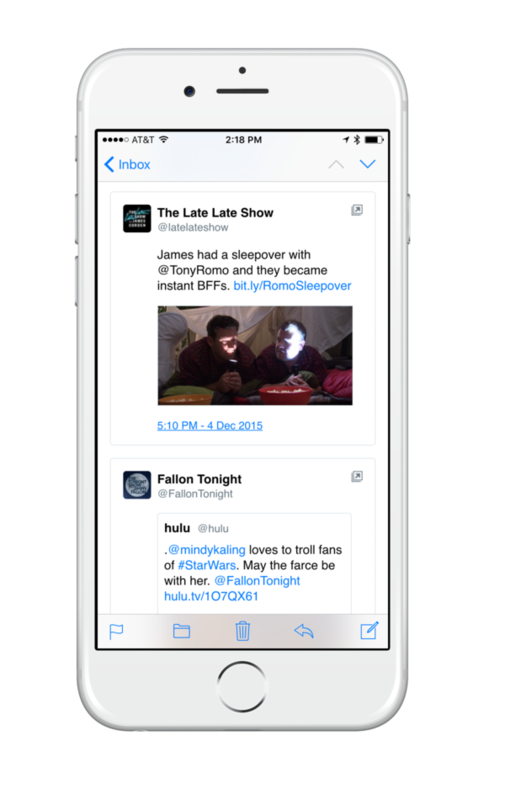 tweets in your email inbox!